This is an article by myself, a former pupil of Graianrhyd School, based on minutes of the School Managers, dating back over 100 years. 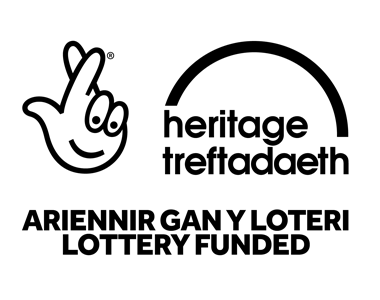 The small school in Graianrhyd, which is now in private ownership to be converted into houses holds special affection for me, not least because of its connection to my family. My father’s family lived at Pen y Foel, up the hill above the school. They gave the land upon which the school was built to the education authority. The school field adjacent to the school was donated by their elder son John Thomas (my Uncle Johnny) the inheritor of Pen y Foel sometime in the 1950s. The school was completed and opened in 1913. The record shows that his Honour Judge Moss had been engaged to open the school but at the last minute was indisposed. The presiding officer of the opening was therefore Mr Edward Roberts of Brymbo; his wife was called upon instead of the judge to declare the school open. It is recorded that she spoke: “in a very pleasing manner, wishing every success to the school”. 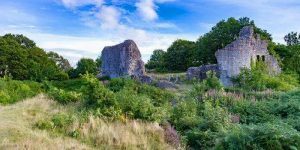 Tea was provided by Mr. and Mrs. Thomas of Pen y Foel (my father’s parents and the ones who had given the land). The others recorded as present and members of the management committee were: Rev Wm. Jones, Vicar of Llanarmon; Rev’d Garmon Owen; Capt. Henderson; Mr. Ed Jones, Pentre Saeson; Mr. Samuel Moss, Pen y Ffrith; Mr. Enoch Jones, Graianrhyd Farm; Mr. Owen Owens, Plas Du, Llanarmon; Mr. JC Davies, Organiser of Education. The School Minutes record the running of the school during the two world wars and after, including such things as ordering coal and a clock in September 1913 (not to exceed 25 shillings). Later there are references to a rocking horse purchased for 45 shillings – it was still there in 1945. 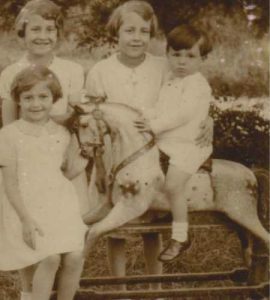 This photo shows me on the rocking horse with my sisters in the early 1940s, a later picture will also appear in the next and final part. There was also the financing of a small bridge over the stream for the benefit of children attending from Rhydtalog. 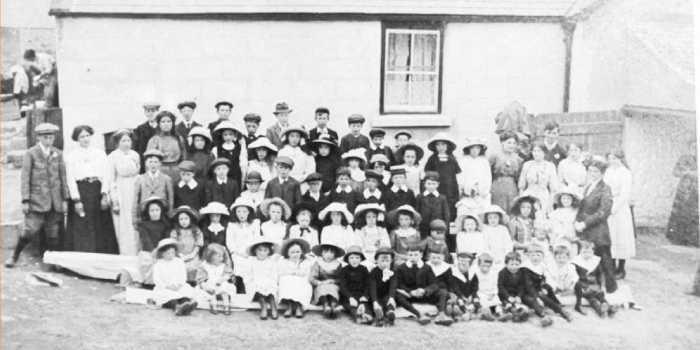 The school remained a junior school, so in order to do the scholarship, the few who tried it had to move to Llanarmon School . The last group who had to move to Llanarmon to sit the exam was in 1944 but the minutes indicate that Miss Jones claims the credit for the 1943 and 1944 successes. This situation infuriated her so much that she put Jean Stoddart and me in for it when Jean was 9 and I was 10. My mother had my brother moved to Coed Talon school in Flintshire and from there he passed the scholarship to Mold Alun. There was a big row, since out of county fees had to be paid by the family. It was taken up in Westminster and a national decision made on this basis! At the opening party mentioned at the beginning, gifts of bananas, bags of sweets and nuts were given by Misses Thomas of Pen y Foel. These were my aunts Lily and Mary who later married and moved to Llys Onnen and Y Castell respectively – Lily was the lady with whom Tom Lloyd lodged. The first headmistress, Mrs. Price, died in September 1915 – a fund was started for her. 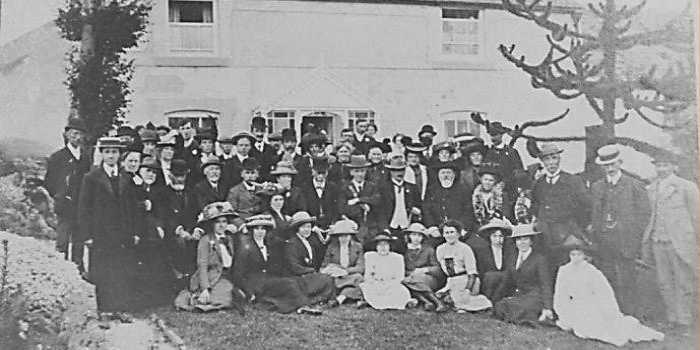 In her report to the Managers on 23rd October 1913 she wished to signify “It is my duty to report here that Mrs. Thomas of Pen y Foel deserves special thanks. She is – I may say in these words – My right hand in whatever motive I have or suggest for the welfare of the school and the children’s happiness. She is a most valuable friend and supporter. I hope still in the future to get her kind help.” Although I have no recollection of my “nain”, as I was born shortly before her death, it is with pride that I record Mrs. Price’s tribute to her. In Jan 1916 Frances J Parry of Glyn Ceiriog Council School became the teacher in charge and permission from Mr. J C Davies was given to make a special requisition for Arithmetic and Welsh text books. The female assistant teacher was paid 4 shillings per hour while the male teacher was paid 2/6 per hour when engaged to do evening teaching for the adults of the hamlet. 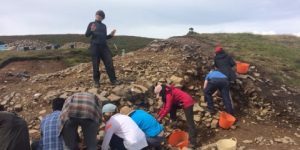 It was often the case that children were absent from school to help with the harvest (potato picking on November 17th 1916, 7th September until 8th Oct 1917. Closure of the school due to heavy snow occurred on a number of occasions (March and April 1917 and during the “Big Snow” of 1947).The measles epidemic in January 1920 caused the school to be closed for two weeks, one case of diphtheria broke out in Nov 1920, whilst the whooping cough epidemic in Oct 1922 is also noted. 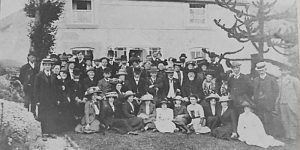 Extra Holidays were granted: October16th 1914 half day to allow attendance at Harvest Thanksgiving at Graianrhyd Chapel; Oct 3rd to 13th 1919 to commemorate the peace, the King’s desire; 28th February 1921 on the proclamation of the King, all children were to have a holiday to celebrate the marriage of HRH the Princess Mary to Lord Lascelles; November 20th 1947 the wedding day of H R H Princess Elizabeth; 26th March 1947 the Silver Wedding of the King and Queen. The photo above shows me on the popular school rocking horse in the late 1940s. During the First World War the 4th Bat. RWF marched through the hamlet on their way to Llanarmon and were watched by the pupils on 15th June 1915. The older girls were taken to join the Llanarmon School children in singing the National Anthem and afterwards were given tea and sports. Evening school concerts were held at the school on: 4th and 5th May 1914 the proceeds to be used for the purchase of a school piano, on 23rd Feb 1918, the proceeds of £12 went to local soldiers connected with the evening school classes. On the 20th July 1919 the children celebrated Peace by having a good treat; tea and sports, and were “perfectly delighted” with the fireworks and bonfire.